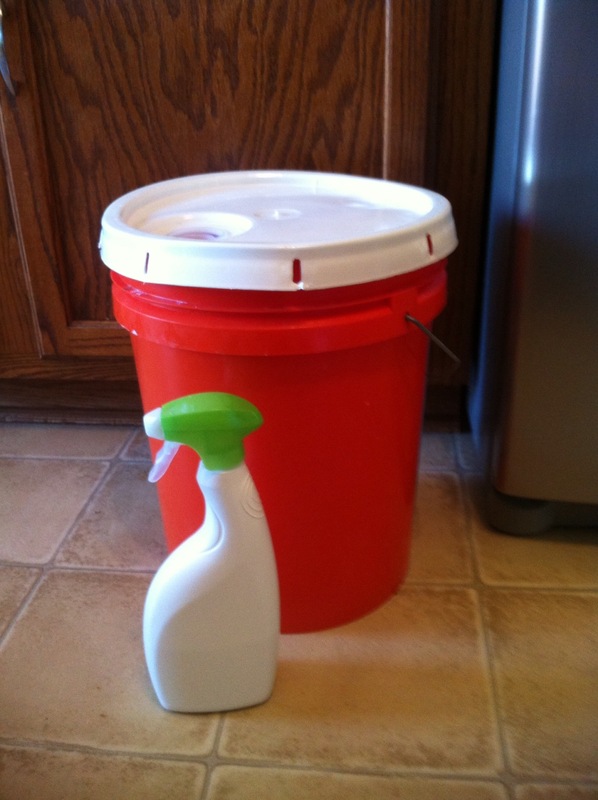 I’m making my second batch of laundry detergent today. I made my first one last fall and just now need to make another. 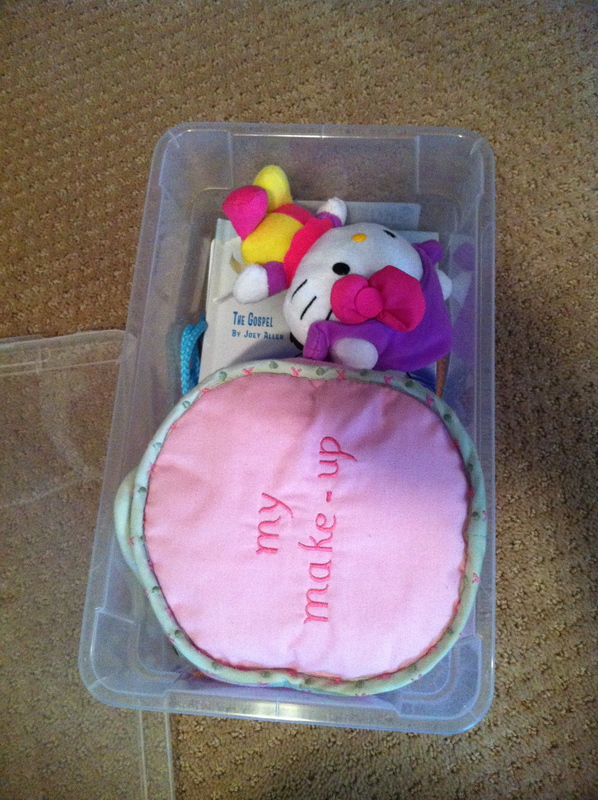 I was a little hesitant that it would get my clothes clean, but it has worked fabulously! I use this recipe. 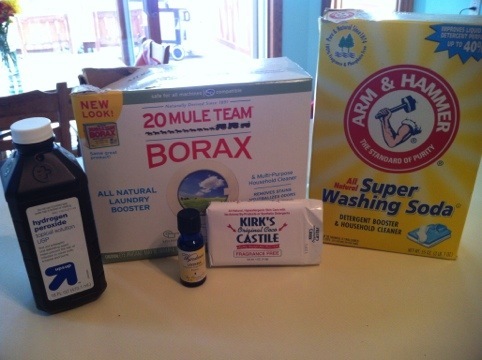 I’m also trying a homemade version of oxyclean this time. (That’s what the hydrogen peroxide is for.). We’ll see how it works. After a half hours work, and a super small investment, I have a batch of laundry detergent that should last several months, and hopefully a stain fighter to boot! It’s been a few weeks since our last update, but things are still going well. Thankfully these last few weeks have gone by quickly and I hope they continue to. 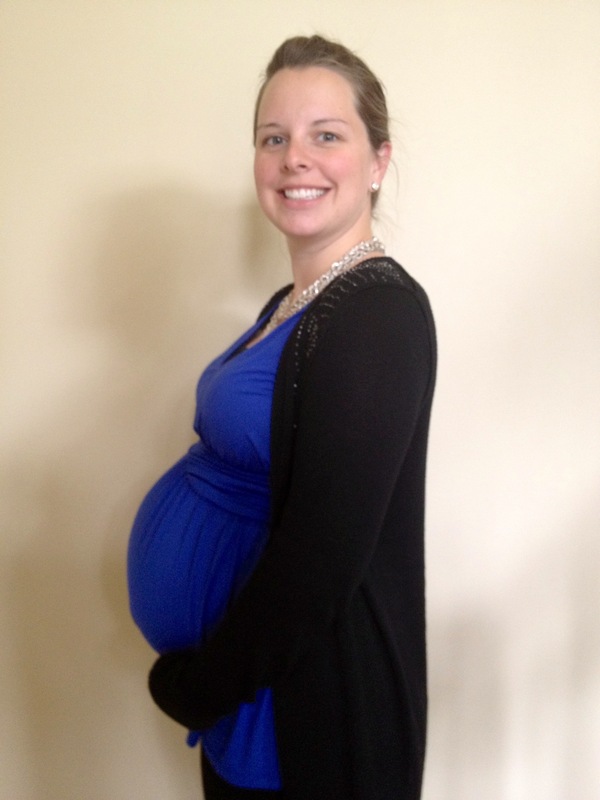 I’m ready to be done with this pregnancy….soon. This little boy has some powerful kicks, much stronger than the girl’s ever were. And some of them really hurt! 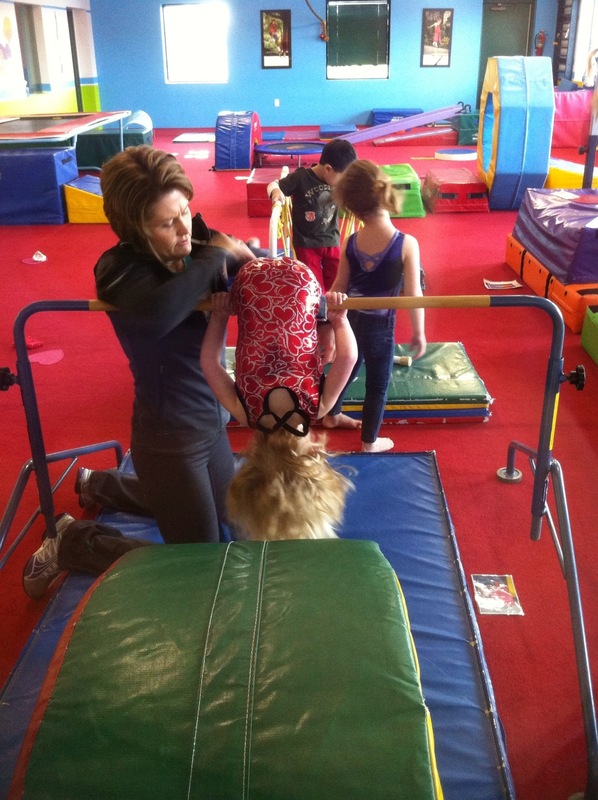 I’ve also been having some bad back pain, no doubt due to lifting two kiddos all day, and doing a major house project. I plan to post some pictures soon, but over the last month we turned our front closet into a “mud room”, and painted all the trim and walls in our entryway, dining room, living room, and upstairs hallway. 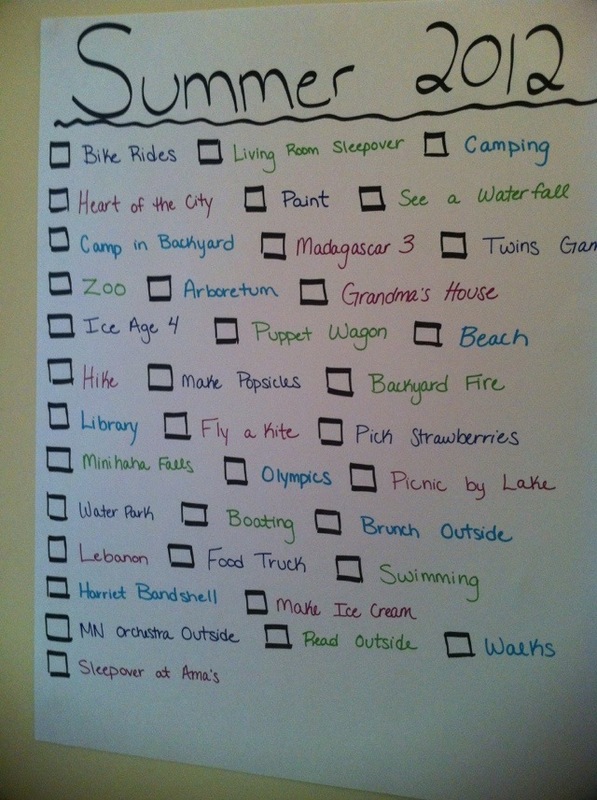 Doesn’t that sound like what every mama in her third trimester should be doing? I’m crazy like that! 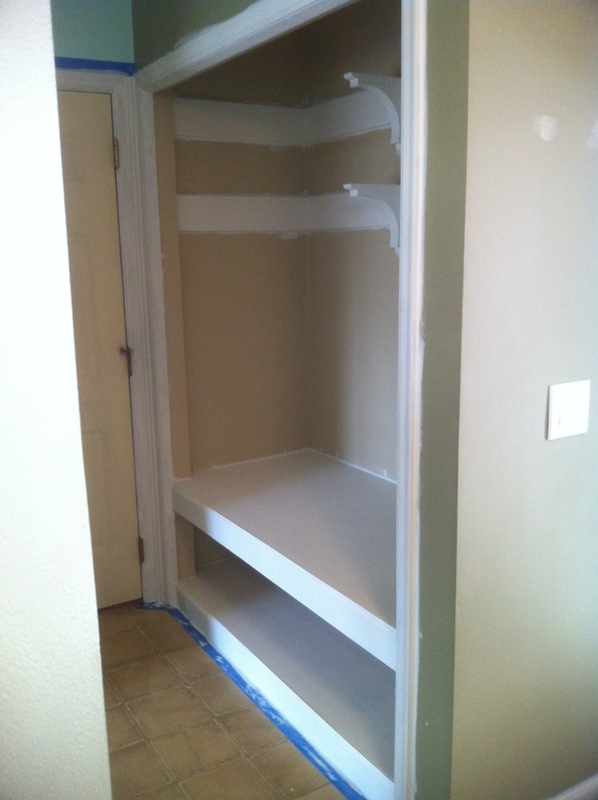 Look what my handy husband built in our front closet this weekend!!! It still needs some finishing touches like paint, hooks and a cushion, but I’m already beyond thrilled with it! 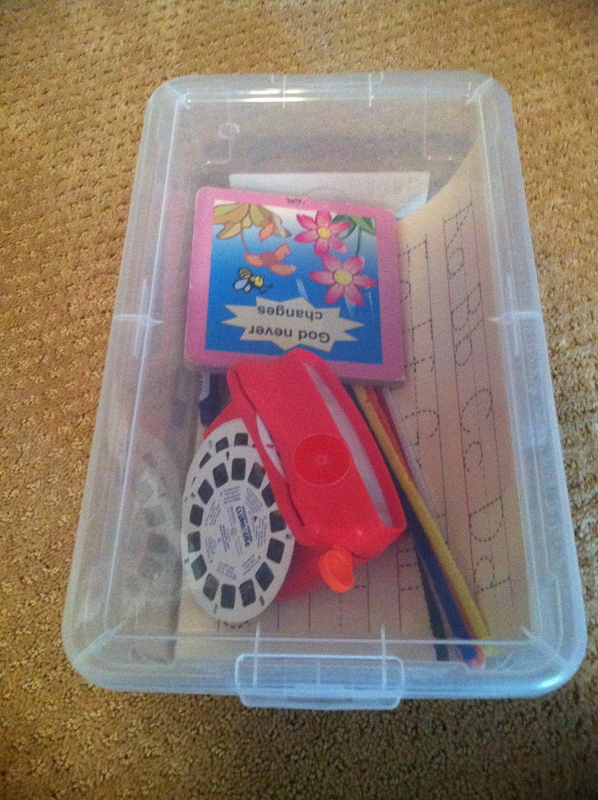 I am so excited about this idea I found to do with the kids to get them thinking about Jesus instead of the Easter bunny. 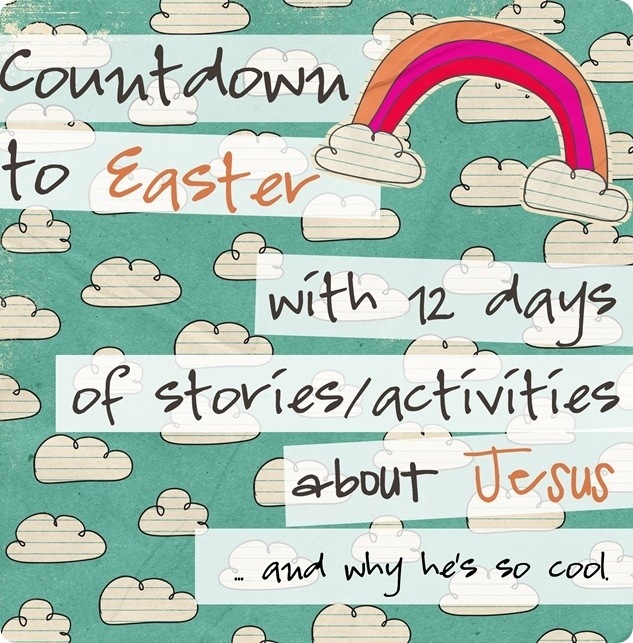 You can see all the details here, but basically you read a bible story and do a short activity every day for 12 days leading up to Easter. 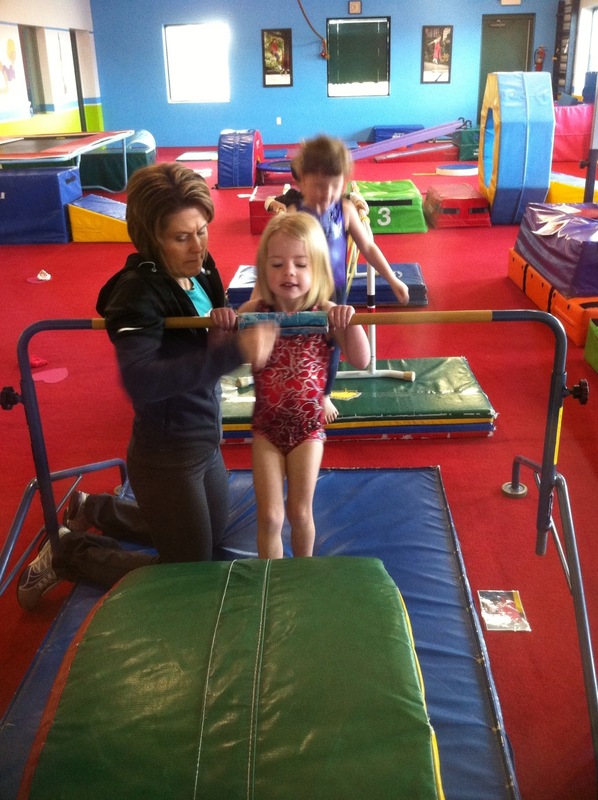 For the past few weeks Lydia has been going to gymnastics class. 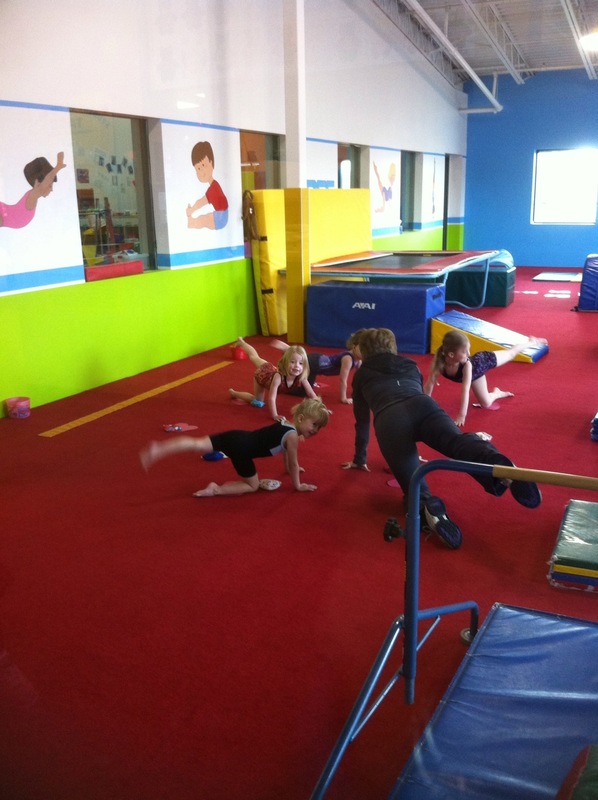 I love watching her tumble and flip around. 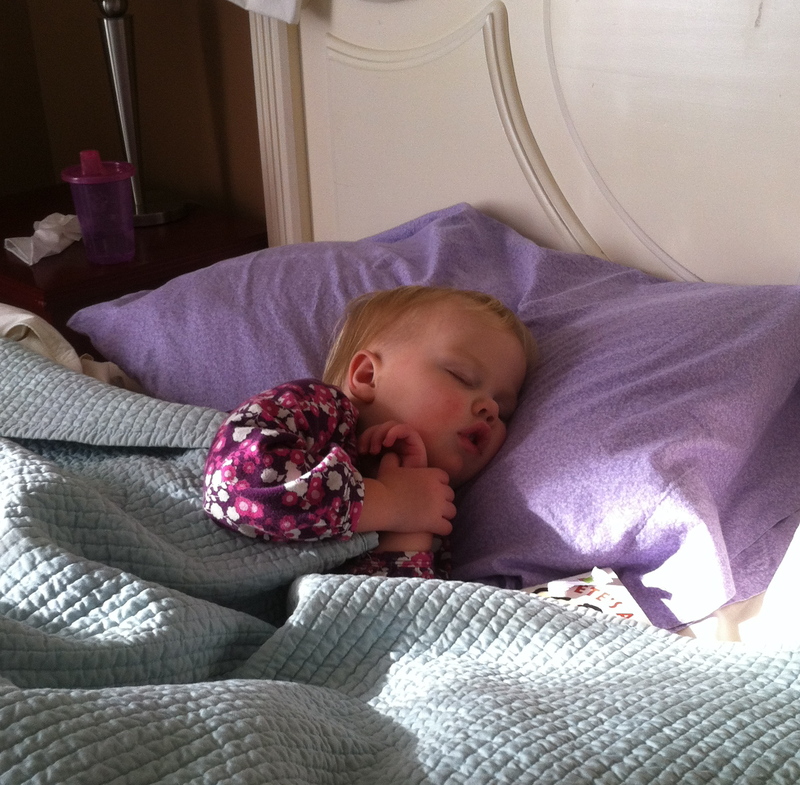 I consider it a huge blessing that Lydia has been taking good naps until now. But I think the time has come for her naps to be over. 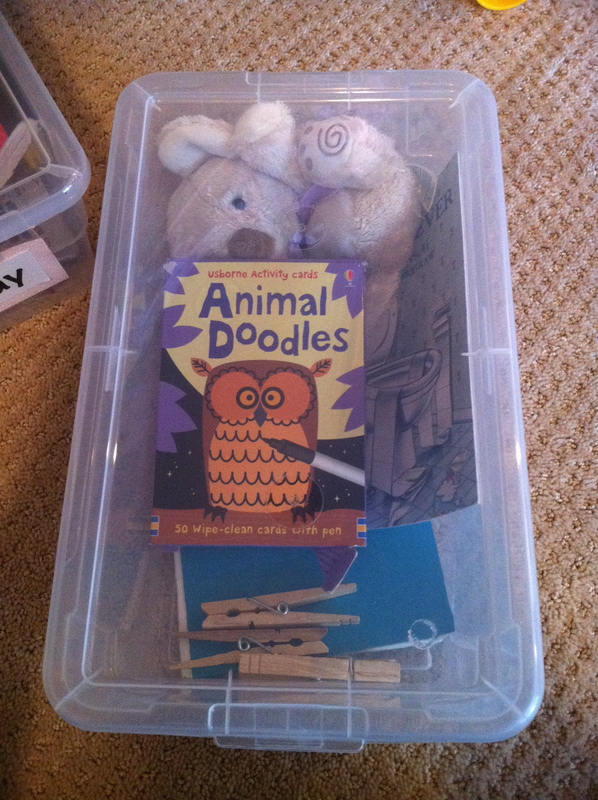 I still NEED to have some time alone each afternoon though, and I think its good for Lydia to have some alone play time too, so this weekend we made up some quiet time bins for her to use each afternoon. I got the idea HERE and think its just brilliant. 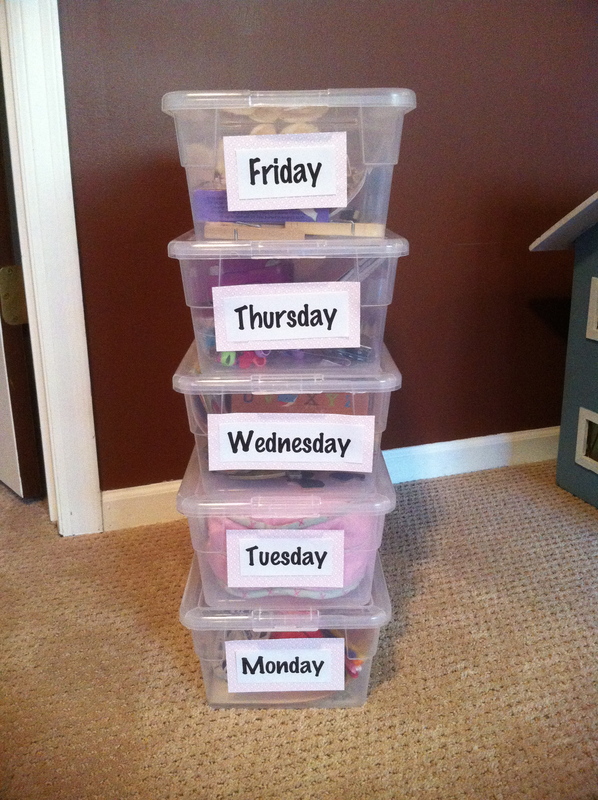 There is one box for each day of the week and there are different toys/activities in each one. 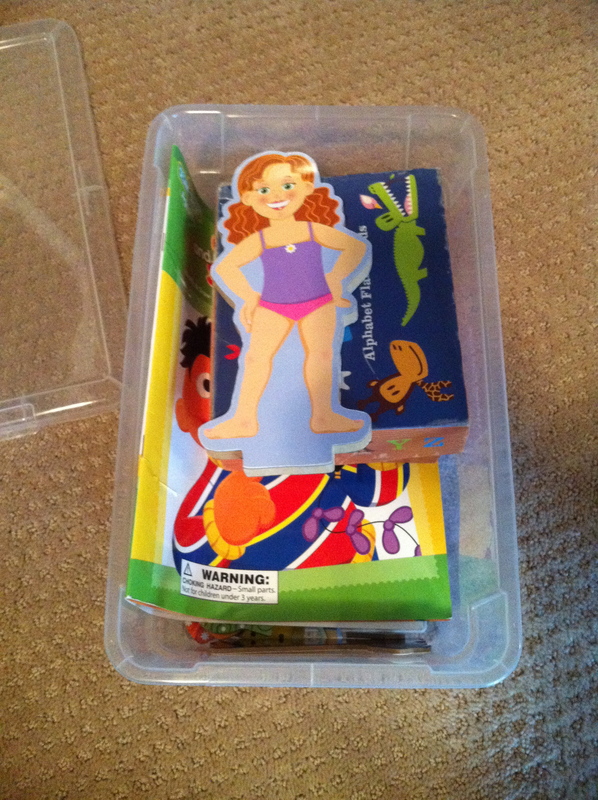 The plan is for Lydia to play in her room with the contents of the box for an hour or two each afternoon while Ellie naps. 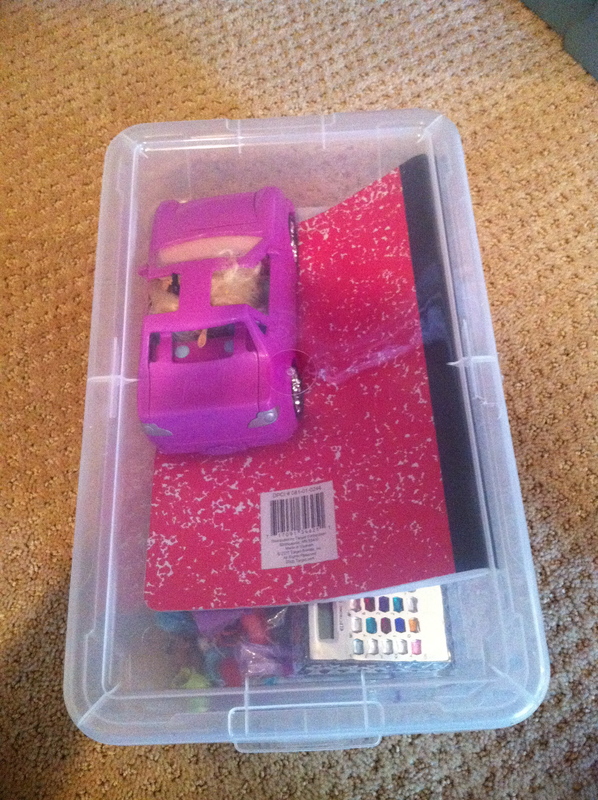 I will put new things in the bins from time to time too.